Formed by two volumes that intersect. The first enveloping, gestural, voluminous, conical with an upper termination that refers to the mouth of a ceramic container turned by hand; the second linear and structural, defined as a stroke. 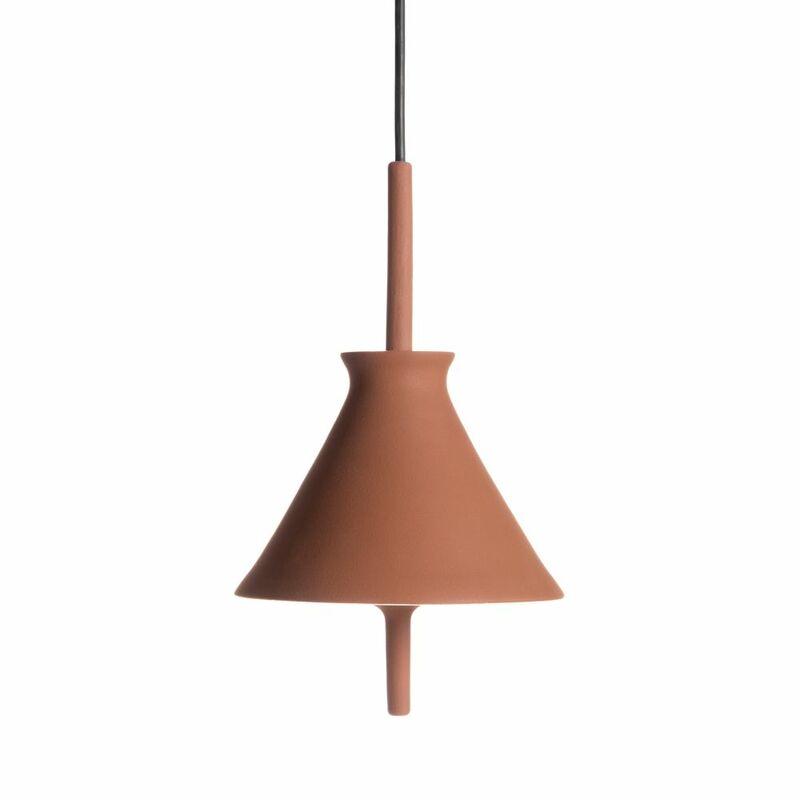 As a result, a warm lamp, a balance between materiality and light.